With the world facing divisive events and movements like the rise of nationalism, Trump, Brexit, Erdogan, and more, there's never been a more important time to travel. Rick believes the risks of travel are widely exaggerated, and that fear is for people who don't get out much. After years of living out of a suitcase, he still marvels at how different cultures may find different truths to be self-evident. By sharing his experiences from Europe, Central America, Asia, and the Middle East, Rick shows how we can learn more about own country by viewing it from afar. In his most challenging journey to date, Palin tackles the Himalayas, the greatest mountain range on earth. It is a virtually unbroken wall of rock stretching 1,800 miles from the borders of Afghanistan to south-west China. Penetrated but never conquered, it remains the world's most majestic natural barrier, a magnificent wilderness that shapes the history and politics of Asia to this day. 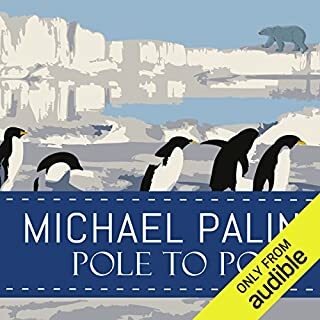 Having previously risen to the challenge of seas, poles, and deserts, the highest mountains in the world were a natural target for Michael Palin. In a journey rarely, if ever, attempted before, in six months of hard traveling Palin takes on the full length of the Himalaya including the Khyber Pass, the hidden valleys of the Hindu Kush, ancient cities like Peshawar and Lahore, the mighty peaks of K2, Annapurna, and Everest, the bleak and barren plateau of Tibet, the gorges of the Yangtze, the tribal lands of the Indo-Burmese border, and the vast Brahmaputra delta in Bangladesh. He also passes through political flashpoints including Pakistan's remote north-west frontier, terrorist-torn Kashmir, and the mountains of Nagaland. I enjoyed this book once I found the website to follow along. His descriptions are so good - but the pictures and maps on the website really help to follow along. 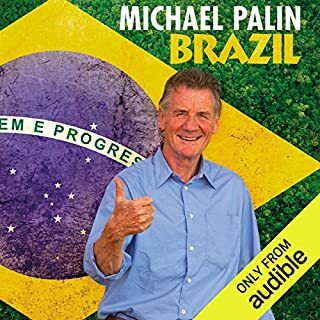 Beautifully told audiobook by Michael Palin of Monty Python fame. Micheal continues his series of travel logs telling of the history, the people and culture of the Himalayas, his experiences as he travels around, the difficulties he encounters and descibes perfectly the beauty so few people have seen in the West. This would also be perfect to go along with the DVD version as well. 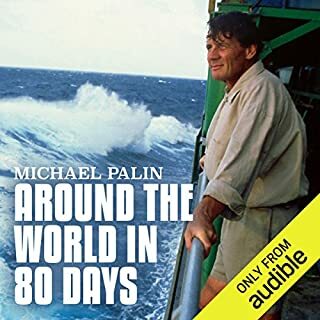 I would also recommend his other series of audiobooks such as his first, Around The World in 80 Days and Pole to Pole, if available. 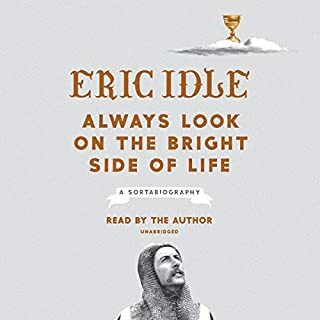 This is the best audiobook I have purchased so far, hands down. I had always liked Michael Palin from his Python days, but this was a delightful new side to him. He conveys his great excitement and inquisitive nature in all circumstances of his travels. He is sensitive and humble, and genuinely enthralled with his surroundings. The trip's itinerary was beyond fascinating in itself - from Pakistan to the foot of Everest to Lhasa to Bhutan - his accounts of his experiences are culturally sensitive, exquisitely detailed, and perfectly read. When I think of a Himalaya trek, Kathmandu and some of the more familiar places come to mind ... but in this book, he also takes you off the beaten path and into some remote and vastly interesting places, experiences and cultures. He reveals sides of Pakistan and other politically 'controversial' countries in very different and fascinating light and perspective. He is able to describe everything - the people, the activities, the lodging, the food, the mechanics of the trip - in fantastic detail. If you've ever longed travel to the Himalaya, this book may be as close to actually getting there without having to board a plane. I will definitely repeat this listen! There is something delightful about traveling with Michael Palin. You get the impression that nothing much upsets him and that he is going to be pretty happy no matter what. That makes his observations about travel easy and enjoyable to listen to. One suspects that there is not even a little angst in his psyche. I found this book more interesting than Pole to Pole or Sahara, although I've enjoyed them all. You really can't go wrong with any of them, although I think this is the best of the lot. What did you love best about Himalaya? Palin is so direct, honest and revealing about his feelings and reactions to new experiences. He is a avid traveller - boldly going places that I will probably never be able to go to and giving me the feeling I have been there too. What other book might you compare Himalaya to and why? Palin is so much "happier" than Paul Theroux's travel books - Palin's enthusiasm to "be going" and to meet and visit with new people is the BEST of travel narrative! What about Michael Palin’s performance did you like? No one reads a books quite like the author. Palin has a great voice. It often makes me laugh. Palin is a funny man. He is the person you want around in times of trouble - flexible, intently interested in "the present", letting go of plans that will no longer work. Even when talking about things that are being lost, polluted, or ruined the sadness is offset by the simple and yet powerful human adaptations to difficult situations. 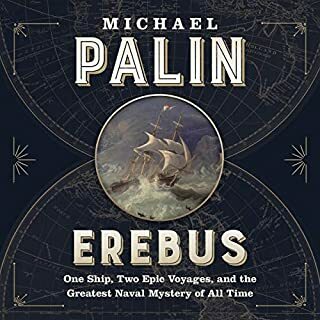 Palin's books, movies and audio books are a wonderful way to see the world in the company of a happy, good natured traveller! this is a story which could be great, however the audio format is not the best way to experience it. the book would be so much beter if there were maps and some pictures to go along with the text. just cant substitute for that with this audio in my opinion. well done for what is possible in this format. A great listen, full of so much detail that it still fascinates on the third listen. Lots of wry humour and interesting background information on the places visited. Every bit as good as the longer journeys. I’ve yet to see the film series, but the books as read by the author are delightful and enlightening. This is just a wonderful travel story. I listen in the car on my daily commute to work and listening to this tale helps make driving a breeze. The descriptions are vivid and the author's British humor is delightful. 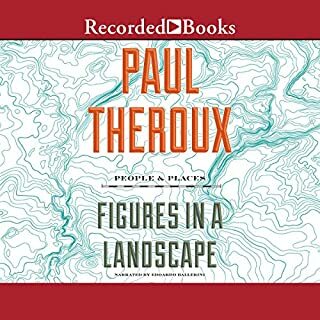 Audio quality is great and having the author actually narrating his own book adds a touch another reader could never have. The Himalaya region is a vast, diverse, and exremely fascinating area of our globe and this book helps to make you feel that you are along on the adventure with the author. I highly recommend it. You don't need to say alot more than, Palin, Travel, Genius. Once again Michael Palin makes you feel like you are travelling with him. As per usual Palin absorbs you into the book with his brilliant narrative, and of course there are many funny parts. 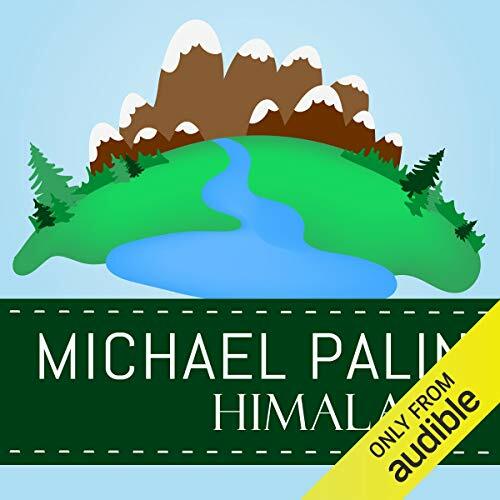 Where does Himalaya rank among all the audiobooks you’ve listened to so far? What was most disappointing about Michael Palin’s story? It was a bit rushed. One was left wanting more detail on just about everything ( Geography, history, current conflicts, landscapes). I also did not like the fact that each day was announced numerically - it interrupted the narrative - especially as some days he didn't have much to say. He reads very well but trying to take on different accents didn't always work. No. We used it for traveling a long distance and divided it into two sessions. It was an enjoyable experience. Thank you.